A torque converter is the component that makes automatic operation possible. An automatic gearbox contains special devices that automatically provide various gear ratios as they are needed. 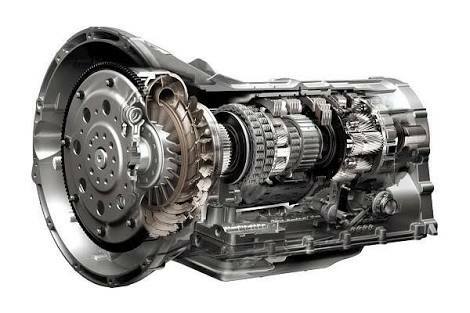 Most automatic gearboxes have three or four forward gears and one reverse gear. Instead of a gearstick, the driver moves a lever called a selector. Some automatic gearboxes have selector positions for park, neutral, reverse, drive, 2 and 1 (or 3, 2 and 1 in some cases). Some more sophisticated types with electronic control just have driven, park and reverse positions. The fluid flywheel or torque converter is the component that makes automatic operation possible. The engine will only start if the selector is in either the park or neutral position. In park, the drive shaft is locked so that the drive wheels cannot move. It is also now common, when the engine is running, to only be able to move the selector out of park if you are pressing the brake pedal. 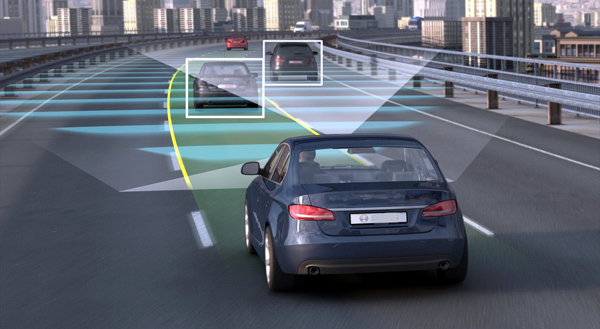 This is a very good safety feature as it prevents sudden, uncontrolled movement of the vehicle. A fluid flywheel consists of an impeller and turbine, which are immersed in oil. They transmit drive from the engine to the gearbox. The engine-driven impeller faces the turbine, which is connected to the gearbox. Each of the parts, which are bowl-shaped, contains a number of vanes. They are both a little like half of a hollowed out orange facing each other. When the engine is running at idle speed oil is flung from the impeller into the turbine, but not with enough force to turn the turbine. As engine speed increases so does the energy of the oil. This increasing force begins to move the turbine and hence the vehicle. The oil gives up its energy to the turbine and then recirculates into the impeller at the centre, starting the cycle over again. As the vehicle accelerates the difference in speed between the impeller and turbine reduces until the slip is about 2%. A good analogy for a fluid flywheel that you can try for yourself is to place two desktop-type cooling fans facing each other. Switch one on (the impeller) and the air it blows will drive the blades of the other (the turbine). The torque converter delivers power from the engine to the gearbox like a basic fluid flywheel, but also increases the torque when the car begins to move. Similar to a fluid flywheel, the torque converter resembles a large doughnut sliced in half. One half, called the pump impeller, is bolted to the drive plate or flywheel. The other half, called the turbine, is connected to the gearbox input shaft. Does this uses Timing Belt ?